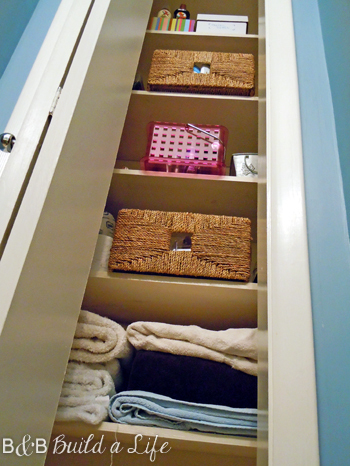 Though it wasn’t mentioned in our goals for 2013, one of my personal resolutions is to better organize things. Picking up and hitting the road as frequently as I do, I’m often packing a bag without having the time to really unpack it in the first place. 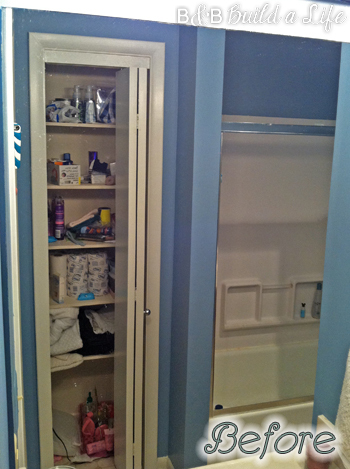 To make that process easier and encourage me to put things away, I thought i’d start by organizing my bathroom closet. Yes, I am going to show you my bathroom here in DC. Try not to cringe too much. 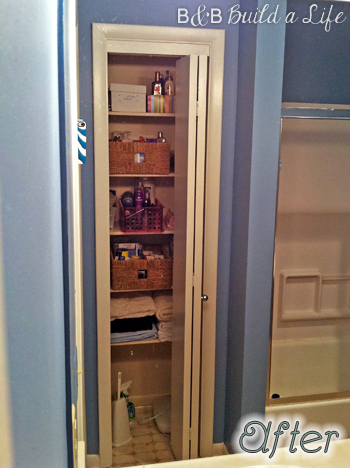 I have this one, skinny closet with a bi-fold door that makes it a bit difficult to reach into the side of the closet the door opens from. I may try and remove the door in the future, but for now I just want to create a sense of organization with the things I have. They’re actually the squat versions of Ikea’s Knipsa baskets – I got them as well as half a dozen of the full sized baskets from a guy on Craigslist a few years back, though I’ve never actually seen them in the store. I also found a few miscellaneous shoe boxes to use as well. To break it down, I thought about what I use the most, how i use it, and where it should go. One thing I find troubling during my morning routine is finding a clean washcloth for my face. They get lost down there with the rest of the towels. And so does my soap for that matter. I decided to roll the washcloths and tuck them in a tin with my bar soap so it would be easier to locate them in my groggy-not-ready-to-be-conscious state that typically follows the sound of my alarm. 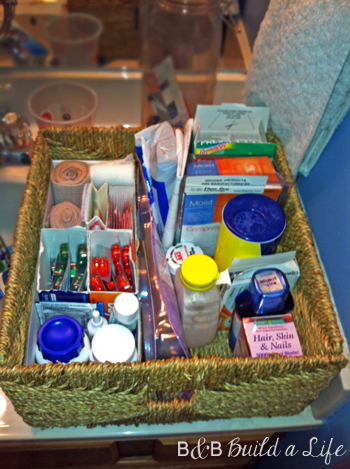 Next, I gathered all the medical things together. Cough medicine, band-aids, pain relievers and prescriptions all were pulled together, and i realized if I used the boxes that some of the items already came in and made them more accessible by tearing off the tops, they would actually fit really well into one of the baby knipsa baskets. I had decided not to figure out how to label the baskets, and instead made a point of placing this basket on a lower shelf so that I could easily see into it without tipping it off the shelf. This is especially handy for moments when a band-aid is quickly needed. Next, I went through my collection of cosmetic bags and tossed things like ancient rusty bobby pins and clips, and those scrunchies that for some reason had survived the 90s. 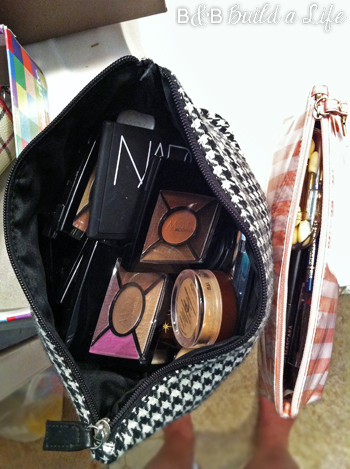 Then I sorted my cosmetics and placed shadows and powders in the large bag, tools and eye-liners/pencils in the skinny one, and reserved the Coach one for tossing things in when traveling. 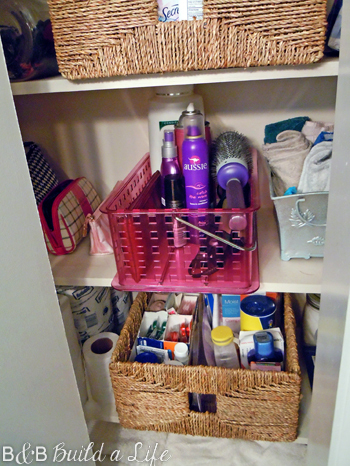 These are not used as much as other products (I’m far more low-maintenance than my closet would lead you to believe…) so I planned to set them on the left-hand side where the door usually covers. Then the all important hair tools and supplies had to be wrangled. Though i don’t use it often, I typically already have my head upside down and ready to apply mouse or hairspray before i think to grab it, so having it an easy reach was key. And since these cans tend to end up with product on them, using a container that was easily wiped clean was also important. 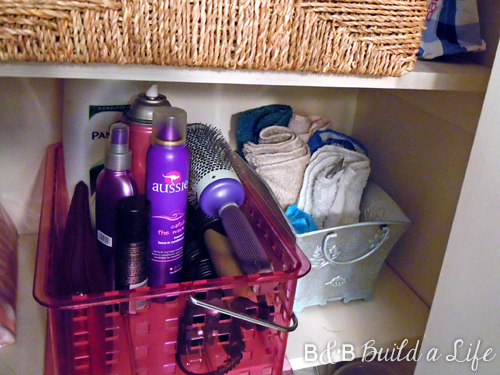 This pink basket fit the bill perfectly, and I was no longer using it to catch junk on my dresser so I stashed my straightener, products and special brushes in there. 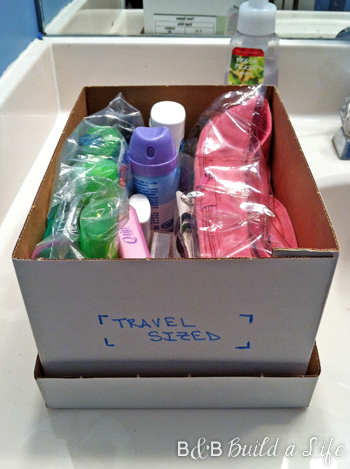 Finally, I used an old stationary box to stash away my travel sized items and the bag I typically use to pack my important toiletries on my trips, that way I just have to grab from the box and go. Once everything was tucked back inside, it was looking much cleaner. MUCH more streamlined than before. 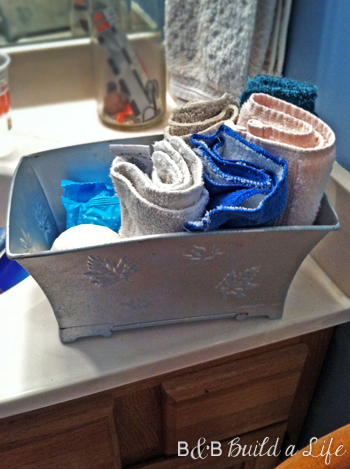 And with the washcloths tucked into that tin, I can blindly reach in and grab one every time. 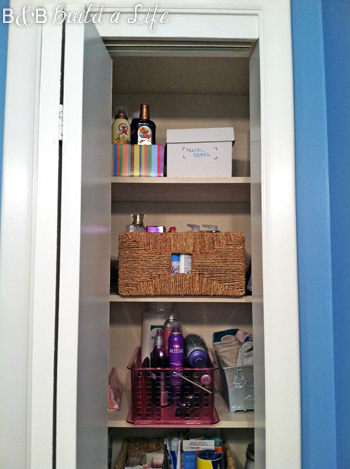 Now I just have to decide if a clean closet means I should do my hair and make-up more often! 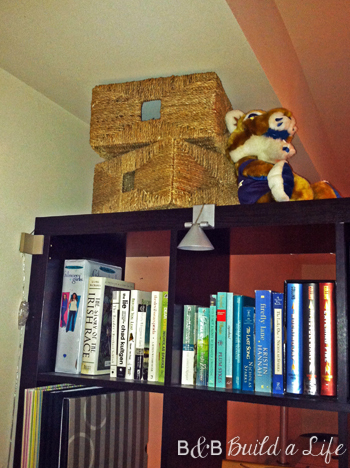 So how about you, have you been able to get organized yet in 2013? This project is also # 095 in John & Sherry Petersik’s book Young House Love. Click here to see more projects we’ve completed from their book! 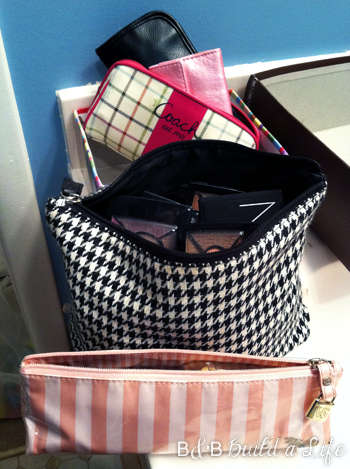 I love organizing and minimizing! !